Orwell himself was a man with deep feelings, which he attempted as far as possible to conceal. Yet, as he admitted, it was emotion that provided the driving force of his creativity. The main thrust of this book will be to reach down as far as possible to the roots of that emotional life, to get as close as possible to the dark sources mirrored in his work (p. xii). And through the course of the 495-page text he succeeds in delving deep into Orwell the man – providing original and often profound insights into his writings and complex personality. 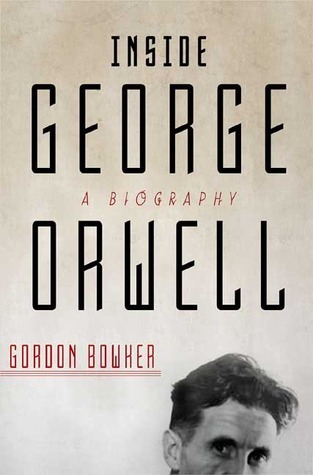 Bowker’s prose is always clear yet densely packed with meticulously researched information – and throughout he displays a deep knowledge of the politics and broader culture of Orwell’s times. He deceived fellow tramps about his identify and true circumstances, he kept his family ignorant of what he was doing; he deliberately kept some of his friends apart in order to present them with different faces; he was deceptive in his sexual relationships; he concealed his true feelings behind a mask of reserve. The revelation that he co-operated with the IRD [the state’s secret propaganda unit] left some of his old friends feeling badly deceived as to his true nature. He deliberately concealed himself behind a pseudonym. He was also a man full of contradictions: ‘So while he was against private schools, disliked Scots, and was a staunch atheist, he put his adopted son down for Westminster, chose to live among Scots on Jura and asked to be buried according to the rites s of the Church of England’ (p. xiv). Bowker is particularly interesting throughout the biography when examining Orwell’s sexuality. Here he writes: ‘Like his fictional heroes, he had difficulty approaching women. In his teens, he was rebuffed by a childhood sweetheart; in Burma he indulged with prostitutes and is said to have had a child by a Burmese girl; in Paris in 1928 he lived for a while with a “trollop”. … Although part of him wished to emulate sexually unbridled writers like D. H. Lawrence, James Joyce and Henry Miller, the social and political climate of his age and the harsh obscenity laws propelled him towards literary puritanism’ (ibid). 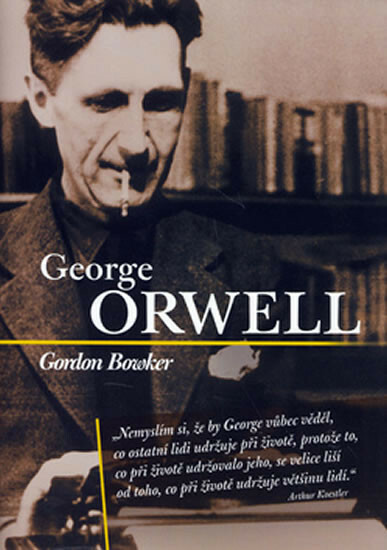 Bowker is at pains to acknowledge the unique insights thrown up by the previous biographies: Bernard Crick (1980) stressed the political context; Michael Shelden (1991) highlighted Orwell the literary man; Meyers (2000) ‘acknowledged more the inner man’ (p. xiii). And throughout, Bowker acknowledges as a crucial source, the recent publication of the 20-volume Collected Works of George Orwell, edited by Peter Davison (D. J. Taylor’s award-winning biography was also to appear in 2003 so could not be acknowledged). But Bowker also turns up new and important information. For instance, there is a lot new here on the family background of Orwell’s mother. Her father, Frank Limouzin, was a timber merchant in Limoges, France, before emigrating to Burma in the late 1850s with his wife, Eliza. Ida, Orwell’s mother, was their sixth (of eight) children who grew up in Moulmein, marrying Richard Walmsley Blair, a lowly sub-deputy opium agent, in June 1897. At the time Ida was 22, Richard 39. Eric Arthur Blair, their second child, was born on 25 June 1903. So much is already well known. Now Bowker goes on to reveal how the Limouzins of Moulmein sadly fell on hard times: Franks’ boat-building company collapsed and so he moved into the rice business, ‘losing much of his money in the process’ (p. 10). His long-deceased brother William had co-habited with an Indian woman; now, in 1899, his second eldest son, Ida’s brother Frank, fathered a child by a Burmese girl, Mah Hlim. There could well have been a scandal over this because Frank appears to have fled the country. … In Burma in the early 1920s, Eric was to meet his grandmother Limouzin, and presumably his Eurasian relatives – Aunt Aimeé, daughter of William and Sooma, and his cousin, Kathleen, daughter of Frank and Mah Hlin, just four years older than himself. On this feature of his mother’s family, he remained silent, but in his first novel, Burmese Days, he gave the name Ma Hla May to the Burmese mistress of his tragic hero John Flory. Drawing from new correspondence with Steven Runciman, one of Orwell’s friends at Eton (which he attended from 1917-1921), Bowker reveals the (perhaps surprising) fascination of Blair with the occult. A senior boy, Phillip Yorke, had attracted the disfavour of both Blair and Runciman so they planned a revenge. As Runciman recalled, they fashioned an image of Yorke from candle wax and broke off a leg. ‘To their horror, shortly afterwards, Yorke not only broke his leg but in July died of leukaemia. The story of what happened soon spread and, in somewhat garbled form, became legend. Blair and Runciman suddenly found themselves regarded as distinctly odd, and to be treated warily (p. 56). Previously unpublished letters between Orwell and one of his early female friends in Southwold, in the early 1930s, schoolteacher Brenda Salkeld, reveal other aspects of Orwell. He opens up to her, saying how depressed he is at the slow progress of his career and how at times he was losing confidence in himself as a writer (p. 125). ‘Brenda noticed how he enjoyed trying to shock her with tales of his exploits in Burma and to offend her sense of delicacy with risqué stories and his collection of rude seaside postcards’ (p, 124). It seems unlikely that Orwell ever knew that Crook was spying on him, or that his contact worked under that name, but the fact that the character in Nineteen Eighty-Four who first wins the confidence of Winston Smith and then betrays him is given the name O’Brien must be one of the strangest coincidences in literature. Particularly impressive are the short commentaries on Orwell’s writings dotted about the biog. Take, for instance, the six pages devoted to Nineteen Eighty-Four (pp 385-390). He begins by identifying the literary influences: Zamyatin, Trotsky, Jack London, Belloc, Poe and M. R. James. Orwell’s horror at the Inquisition, his experience of terror in Spain and of the propaganda operation at the BBC, of wretched wartime London and the mysteries of junk shops are all there. The conundrum 2 + 2 = 5 was taken from Eugene Lyons writing about the Soviet Five Year Plan (it also crops up in Tristram Shandy). His fascination with the Chestertonian paradox is there in the form of ‘Doublethink’. … as is his identification with Protestant martyrs, his penchant for nursery rhymes, his fascination with fiction factories (offering formulae for novel writing) and the paranoia that led him to arm himself against possible assassination (p. 385). Bowker next moves on to explore the religious sub-text. Many of the names of the characters in the novel are those of persecuted religious and political dissidents: ‘Rutherford, Scottish dissident condemned to be burned, saved himself by confessing under torture; Jones, Chartist leader, persecuted and imprisoned for sedition; Tillotson, seventeenth-century preacher against popery; Wither and Ogilvy, Civil War turncoats’ (p. 386). Julia seems to be a secret hater of the Party and Big Brother, seems to be a candidate for the dissident Brotherhood, seems to go off to be tortured after her arrest and finally seems to have been purged of her thought-crime. But in the world of the book she could, like O’Brien and Charrington [the owner of the junk shop where the lovers conduct their secret affair], also be a dissembler leading Winston straight into the arms of the Thought Police (ibid). Bowker sums up astutely: ‘On Airstrip One truth rests on ever-shifting sands, only pain and Room 101 are real. Such a reading gives the book a strangely modern character, making it a novel about the slippery, unstable nature of meaning’ (ibid). Such a section is so typical of this wonderful biography: it’s incisive, original, elegantly written conveying – concisely – a vast knowledge of Orwell and the many influences on his personality and writings. And every time I re-read the biography it never ceases to give me such enormous pleasure. Thank you, Gordon. Gordon Bowker wrote a number of other literary biographies: Pursued by Furies: A Life of Malcolm Lowry (1994) (New York Times Bestseller and Notable Book of the Year); and Through the Dark Labyrinth: A Biography of Lawrence Durrell (1996). His biography of James Joyce, published in May 2011 in time for Bloomsday, was longlisted for the Carnegie Medal for Literary Excellence, was the runner-up in 2013 for the American PEN/Jacqueline Bograd Weld Award for Biography and was shortlisted for the PEN Center USA West Literary Award. After reading English, Sociology and Philosophy at Nottingham and London Universities, he worked as a lecturer and wrote dramas and documentaries for radio and television. 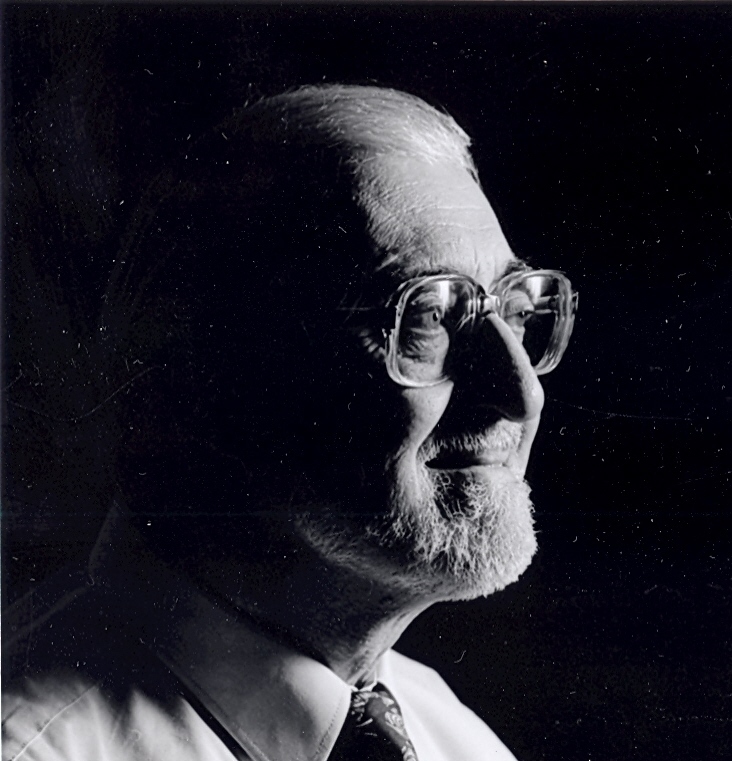 He contributed pieces to a wide variety of magazines and newspapers including London Magazine, Plays and Players, the Listener, Sunday Times, Times Literary Supplement, and The New York Times. He reported on the rise of the Polish trade union Solidarity for the Illustrated London News. Richard Lance Keeble is Chair of the Orwell Society. Thank you for writing this…a wonderful read. I am sorry to hear of Bowker’s passing.